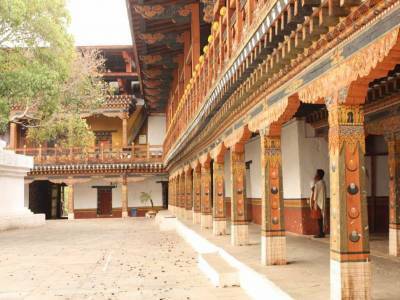 The most beautiful Dzong in Bhutan and one of the biggest attraction of Punakha. The Punakha Dzong Fortress was built in the year of 1637 AD and is build by the Zhabdrung Ngawang Namgyal and later enlarge by the 4th king after it was burned down by fire. The Punakha dzong is the second oldest dzong in Bhutan and situated at the confluence of the "male" and "female" rivers (other name Phonchu and Monchu rivers). Punakha being the old capital of Bhutan before it was moved to Thimphu, this place has the grandeur of it all. The Punakha Dzong is a beautiful piece of architecture. The temple within the site is impressive with the various magnificent Buddhas. The views from the Dzong is also stunning given that Dzong is at the point where the female and male rivers meet. To get there you have to cross a beautiful bridge which when you are in the middle of the bridge gives you great view of the valley. 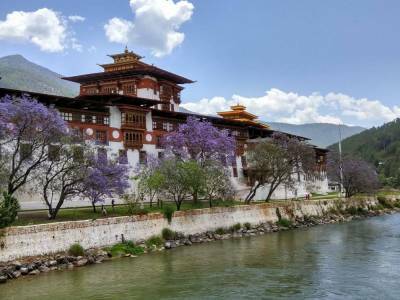 The Punakha Dromche or Tshechu Festival falls on early spring and best time to visit with all purple Jacaranda Blooming with other beautiful flowers like Rhododendron, Bottle Brush, Bougainvilleas to name few and many more. The attraction is free to public and required to produce your Punakha permit (for Indians) while entering, so keep it handy. There are many monks inside who meditate and offer prayers. Except the prayer hall, all other places are allowed to be photographed. The winter timings are different tham summer timings. Wear dress appropriately "full sleeves" and "full pants" no shorts allowed. 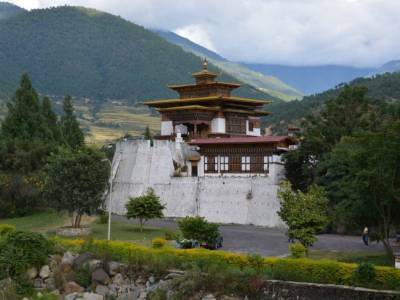 The Punakha Dzong is about 70 kms from the capital Thimphu. 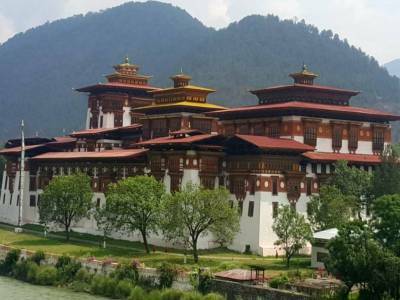 Get quick answers from travelers who visit to Punakha Dzong.